Hair is an extension of the Heart. My name is Khaya, better known by the nickname Yahya. My area of expertise is chemically straightened afro textured hair, but this blog can be appreciated by anyone who is interested in hair care. I'm currently a transitioner, from sodium hydroxide (lye) relaxers to Japanese straightening. (Never heard of this? Not surprising, I'm a rare case.) Stay tuned for hair tips, reviews, and progress on my hair care journey. In my last post about how I tripled and then octupled my hair growth rate, I said that the GHE method was the main factor in my growth increase (followed by the inversion method). For those of you who don't know, the GHE method is simply keeping your hair in a plastic cap over night. It's advised to do this no more than every other night and at least once a week. You can follow the plastic cap with a scarf to secure it or another cap to increase the effect. Or, if your relaxed and want to preserve your style you can put on a scarf before the plastic cap. 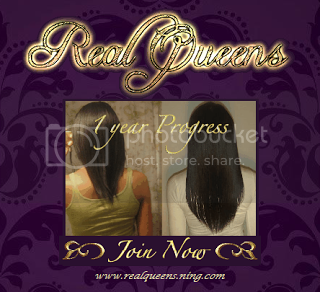 The GHE method originated from the Real Queens Regimen. The method creates a steam like effect on your hair and scalp. When we put a plastic cap on for an hour to deep condition, our body's temperature naturally heats the environment trapped in the plastic. GHEing uses the same idea, the reason for its name. So isn't that just baggying your whole head? Yes and no. The difference with the GHE method is that the main focus is on the scalp. Though you can, you don't have to apply anything on your hair or scalp before doing the GHE method. The aim is to put your head in a steamy environment for 6-8 hours. Oil or leave-in is optional, though I would advice only using a little. You can get a moisture overload if your not careful. Plus, your scalp and hair is going to be moist after using the method whether you used product with it or not. The steam effect increases blood circulation and aids sebum flow, increasing your growth rate and length retention. For the past two years, I had been getting random growth spurts but didn't know who to credit it for as I had been doing multiple things at the same time. Finally I can give rightful credit to the GHE method! I remember on a popular hair care forum, there was a girl that started a GHE method challenge, claiming you can double or triple your normal growth rate. This was my first time encountering the method and I participated in the challenge for a short while (but stopped for a reason I can't remember). I remember in the challenge thread, she was given a hard time from older, 'more knowledgeable,' forum users who where trying to tell us that the GHE method is not going to triple, or even double, our growth rate and the minor increased growth people see is retained length. I understand that they were trying to enlighten us and didn't want us to try something supposedly guide-less to end up disappointed. This, however, isn't a good mindset to keep when on a hair care journey. Whether your a novice or have been a healthy hair journey girl for years, we have to remember that we're not real scientists when regarding hair (well, there might be a couple out there but I'm generalizing). We can test things, analyze, and record, but we can't know exactly why we see the outcomes we get unless its been scientifically proven. We can make educated, logical guesses, but in the end they are guesses, not fact. I think that we do these 'experiments' so much that we forget we're not real scientists. The older forum users argued that growth rate can only increase through increased blood circulation and keeping your scalp clean. These, as far as we currently know, is true. From what I remember, I agreed, but brought to the table that the GHE method can be increasing blood circulation due to the heat it creates. No one would counter this point, yet still kept their strong opinions. The point is, it's better to test something and then come up with an explanation, not the other way around. 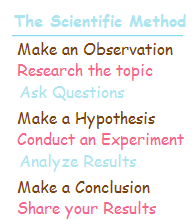 This is stuff we learned in elementary school: the scientific method. When we make a prediction and explanation it's called a hypothesis because it's only supported by the information we think is true, not reality. After we perform the experiment we have a better touch with reality and can come up with a better explanation--the conclusion. Our previous hypothesis might have been right or wrong, and if wrong we have to adjust our thinking. This is why healthy hair journey girls, especially those who have been on their path for a long time and develop egos (it's hard not to develop one! but there's a difference between ego and confidence) should always remember to stay open minded. None of us, whether we have been on our journey for 1 year or 30 years, know everything regarding hair. If we make a hypothesis (or pre-conclusion?) that something won't work and therefore we won't test it and tell other people not to test it, we can cause ourselves and others to miss out on tripling their growth. A journey is all about trial and error. Unless we have fear that something can negatively effect us, experiment. That's kinda the whole point in me doing these growth aid exams. So why does the GHE method work? I have a couple reasons why. But remember I, and generally no one in our healthy hair journey community, is a scientist in this area. What we tell you are educated guesses from our own research and logic. The educated explanations I list might all be true, only one or two might hit the mark, or the reason might be something completely different. But I'm sure it's at least one of these reasons. Increased sebum flow helps length retention. This might be a factor, but is differently not the prime suspect. To say that the GHE method only helps retain length is to say that I, and all the other girls that doubled or tripled their growth rate doing it, has an average growth rate of 1 or 2 inches a month. This is very very unlikely. The average growth rate is 1/2 an inch a month and my normal growth rate is 1/2 an inch every 5 weeks. And what makes this even more unlikely is that it suggests that when I don't do the GHE method I'm only retaining 1/4 of my normal growth rate. 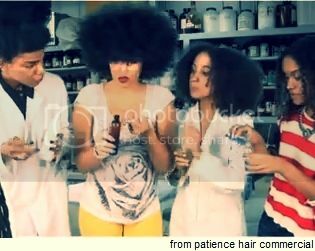 With the zero to minimum breakage I usually get, that's impossible. Heated environment increases blood circulation. This is a more likely the reason for the increased growth rate. Our scalp is the most difficult place for our blood to circulate because the blood has to move upwards, to the top floor. Remember our follicles, not our hair, are alive. A good blood circulation means our follicles are receiving their proper nutrients, proper nutrients equal healthy follicles, and healthy follicles equals a good hair harvest. Sebum has a naturally low pH, resulting in a healthier scalp conditions. Our sebum has a natural pH of 4.5-5.5, pretty much the same pH as our hair. (Note oils don't have a pH. Sebum is oily, but it contains water, and so a pH.) Keeping your scalp at a low pH keeps it healthy and protects our scalp from bacteria and fungus. I'm not sure, however, if it destroys the same type of fungus that grows in our sebum and minimizes our growth rate (this is how applying sulfur/oil mixes increase growth rate, it destroys these type of bacteria). Steaming removes toxins. Though currently it's debated whether this is true. But if true, just like when we sweat the rest of our body supposedly detoxifies, the same would go for our scalp. A healthy clean scalp and healthy conditioned hair equals growth. Sweating cleanses, but then the sweat/sebum stays there on top the scalp unless we wash it off. During my growth exams I might try cleaning my scalp after and see if there's a change in results. Though if I see an increase in growth rate, it might be because I'm unclogging my pores. Thank you for sharing your experience Yahya. I have got my plastic cap on as we speak after reading your post and your interview on Nadege's blog. Sometimes I am a bit skeptical of the growth aids that some claim to work, but it doesn't hurt to try. I also wanted to try the inversion method when I first heard about it. But the only reason I haven't tried it is because sitting upside down for several minutes does not sound too fun. I will try GHE method and see if I will see any results from it. I do have one question. Why is it that it can only be done every other night? @andrea, you have a good mindset. it's okay to be skeptical, it's being closed minded that isn't helpful. the reason it's suggested to do it no more than every other day is fear of moisture overload and clogged pores since the GHE increases your sebum flow. and with the inversion, some girls that can't keep their head upside down increase their blood circulation by lying face up and elevating their feet. Wow, its amazing to read that you achieved increased growth just by these simple practices. When I first read about the inversion method I was a little skeptical, but now I am very intrigued. So intrigued that I am going to start the method on my next wash day. Ma sha allah..once I read what u wrote, I kept a plastic bag into my head .. I think u said it's fine not to use any kind of oil with the GHE method..right? with the GHE any kind of oil or nothing? Is it ok to use cayenne pepper oil with the GHE method? I've never tried doing that myself, but have heard other girls doing that. @Ashley, When I do the GHE method, I do it 2-3 times a week. These topic is very different as i read all hair related post these article is very different and the word GHE is Very different,Thanks for these topic and it knowledge for hair treatment. I just started the GHE effect about 2weeks ago. I'm anxious to see progress as I have a TWA. I've been using a concoction of oils. I've seen some growth on the sides but am not sure if that's just from natural hair growth.